The four-season destination was perfected in Western Canada, where visitors know every day is a great day for seeing and exploring snow-capped mountains, boating on whale-filled waters, playing courses designed by golf's legends, or experiencing urban fine dining and entertainment. This stretch of unspoiled natural beauty is so revered, in fact, that Vancouver Island recently was named the top North American island by Conde Nast Traveler. The prestigious travel magazine also named Vancouver and Victoria the second and third best cities in the Americas, respectively. Vancouver, host of the 2010 Winter Olympics, wows guests with pristine parks, cultural and historic attractions, decorated restaurants, professional sports action and world-class shopping - all enjoyed amid an unparalleled scenic coastal backdrop. Collectively one of North America's premier ski areas, Whistler and Blackcomb offer more than 200 trails to satisfy skiers and snowboarders of all skill levels. You could be there to watch Olympic history unfold in 2010, or enjoy Whistler and Blackcomb's many charms before and after the world's greatest athletes showcase their skills. Canada's first national park, Banff, also resides in the West, as well as the equally revered Jasper National Park. Skiers, hikers and mountain bikers in these parks share the pristine landscape with bear, moose and other abundant types of wildlife. Visitors have discovered this quieter, sleepier version of Banff en masse, but this simply beautiful mountain hideaway has retained its small-town vibe. 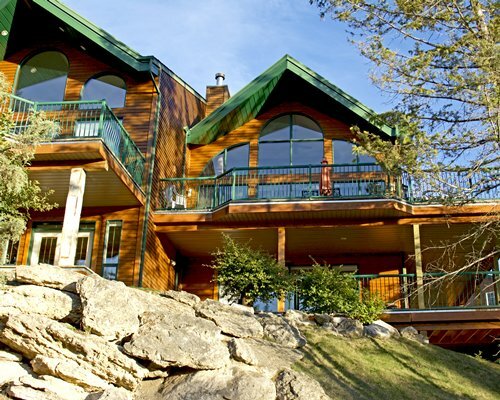 Canmore is simply the perfect place for enjoying a scenic mountain getaway. The Trough Dining Co. (Canmore). Menu selections at this highly rated restaurant are split between Laurel (soups and salads) and Hardy (ribs, fish, tenderloin). Natur'el (Banff). Wondering where you can find the best tea in Canada? Many think it resides at this specialty shop, which offers black, green, white, herbal and oolong teas, among others. Canoe Restaurant and Brewpub (Victoria). Sample a wide selection of award-winning beers on a waterfront patio at this vibrant inner harbor eatery in a heritage landmark building. Whistler's famous slopes. At Whistler, a key site for the 2010 Winter Olympics, skiers have access to more than 200 marked trails spanning 3,307 glorious hectares of terrain. Upper Hot Springs Spa (Banff). Water temperatures here average 40 degrees Celsius (104 degrees Fahrenheit), just the elixir after a day on the trail or slopes. Follow up your soak with a relaxing massage or aromatherapy treatment. Bow Valley courses. When the ski resorts close, the golf courses become the place to be. Find five beautiful courses within the Banff National Park area. For challenging holes, steep elevation changes and remarkable views, try the Silver Tip Golf Course in Canmore. The Western Coast by train. The Whistler Mountaineer will take you past snow-capped mountains and beautiful coastline from Vancouver to Whistler. The entire journey lasts an unforgettable three hours. The Banff Gondola. 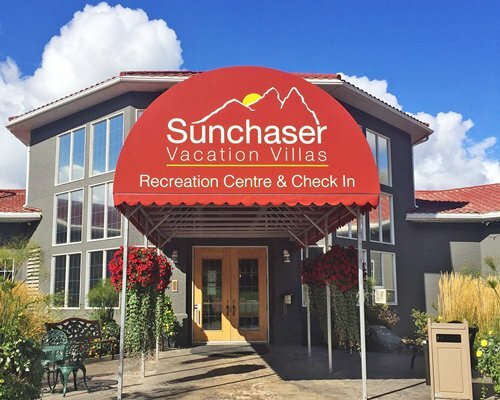 Takes you to the summit, more than 2,200 meters high for breathtaking views of Banff town, Bow River and surrounding mountains. Stanley Park (Vancouver). There's no better way to explore the world's "most livable city," than by biking or walking along the Stanley Park seawall. This paved loop provides amazing mountain, ocean and city views. Victoria's Inner Harbour. Explore a week's worth of sites all within a short walk, such as historic legislative buildings, elaborate totem poles and the Royal British Columbia Museum. Orca whales in their natural habitat (Victoria). About 80 killer whales can be found off Vancouver Island's southern coast. See them up close on a guided whale-watching tour (boat or kayak). Whistler Village. Remember your days on the slopes every time you see your keepsake from one of Whistler Village's unique shops. Robson Street (Vancouver). Shoppers flock to this three-block stretch of boutiques, shops and celebrated restaurants in downtown Vancouver.